YURiA-PHARM CORPORATION – THE LEADER IN PRODUCTIONOF INFUSION SOLUTIONS IN UKRAINE! THE BIGGEST VALUE OF THE WORLD IS LIFE! The staff of YURiA-PHARM Corporation united by a common vocation – to maintain and improve people’s lives. Using the global experience in the production of infusion solutions, we are working on the development and implementation into production and the embodiment of our ideas for the treatment and improvement of the quality of life of sick people. 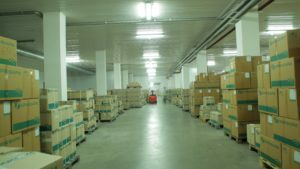 The daily work of more than two thousand employees allows to produce and deliver products of more than 100items in assortment to the medical institutions of 20 countries around the world. This is the original infusion drugs of its own design, antibiotics, antifungal drugs, solutions for drinking, antiseptics, products for parenteral nutrition, antituberculosis drugs, syringes and infusion systems. 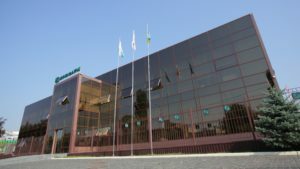 Corporation increases the opportunities of medicine through effective drugs, including: Rheosorbilact, Tivortin, Deсasan, Latren, Xylat, Sorbilact, Infulgan, Gecodes, Diart, Revul, Lacerta, Aquila, Lactuvit, Ulaizer, Instylan, Lorde, Gynodek, and others. GMP Ukraine, GMP EU, GMP Kenya – Good Manufacturing Practice. ISO 9001:2009 – Production and wholesale of pharmaceutical products. 60 000 000 product unitsevery year, tens of thousands of doctors are provided with effective medication for the treatment and rehabilitation of people.To be closer to them, we have created our own distribution service.Every day, from the warehouses all over Ukraine thousands of tons of infusion drugs and medical products are sent to enable doctors to save hundreds of thousands of lives. One of the leaders of the hospital sales. TOP-15 leaders in the pharmaceutical market of Ukraine. We are extending the possibilities of medicine through effective drugs, which have no analogues in the world. 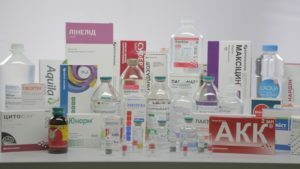 The uniqueness and originality of the products of the YURiA-PHARM Corporation has provided the basis for infusion therapy in Ukraine. The step of registration is held annually by 15 new drugs.In the coming years, we plan to deliver our products in 50 countries.